Beat This Caption Contest 224 Winner – Caption Contest Funny Clever Witty Enter Today! What do you mean, NO DESSERT? Holy Jesus! 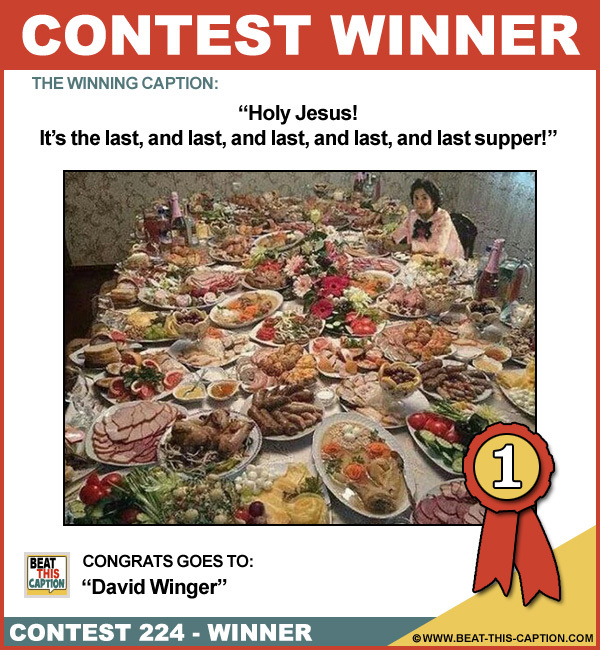 It’s the last, and last, and last, and last, and last supper! Now you want me to empty the other pocket? That should do it for now…oh wait a large diet coke please! The ‘Break Room’ on the set of the Biggest Loser! Can someone please pass the artery? Maria has finally concluded that she has Tapeworms!